... 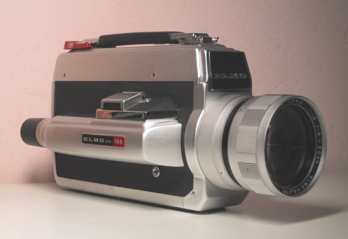 This movie camera was produced in 1974 and is equipped with a lens Elmo Zoom 1:1,8 8-50mm. It weights kg. 1,200 and its measures are the following: 82x110x210mm.